“When the LORD brought back the captivity of Zion, we were like those who dream” (Psalm 126:1). The general assumption is that this Psalm was written after the Israelites were allowed to return to Jerusalem from Babylonian captivity. The children of Israel were God’s chosen people under the old covenant. The descendants of Abraham were to become a great nation (Genesis 12:1-2). By accepting God’s covenant, He said they were “a special treasure to Me above all people….a kingdom of priests and a holy nation” (Exodus 19:5-6). Today, all who become Christians under the new covenant are also “His own special people” (Titus 2:14). However, Israel rebelled. During the days of the Judges “a generation arose after then who did not know the LORD nor the work which He had done for Israel” (Judges 2:10). While there were times that were better than others, they continued to go downhill spiritually. “But they mocked the messengers of God, despised His words, and scoffed at His prophets, until the wrath of the LORD arose against His people, till there was no remedy” (2 Chronicles 36:16). We also rebel against God from time to time. Even though Christians are God’s chosen people, we are told that “If we say that we have no sin, we deceive ourselves, and the truth is not in us” (1 John 1:8). Therefore, Israel was punished. Moses had prophesied that if they disobeyed one of the curses would be that “the LORD will scatter you among all peoples, from one end of the earth to the other…and among those nations you shall find no rest, nor shall the sole of your foot have a resting place” (Deuteronomy 28:64-65). And that is exactly what happened as God sent the Chaldeans to take His people into captivity (2 Chronicles 36:17-20). When we sin, God punishes us too. We may not always understand exactly how, but we know that “whom the Lord loves He chastens, and scourges every son whom He receives” (Hebrews 12:6). Yet, Israel was restored. God raised up Cyrus who allowed the Israelites to return from captivity to Jerusalem and rebuild the temple of God (Ezra 1:1-4). Of course, this involved the people’s repentance. On one occasion, they confessed their national sins, saying, “However, You are just in all that has befallen us; for You have dealt faithfully, but we have done wickedly” (Nehemiah 9:33). God enables Christians who sin to be restored too, telling us to repent of our sins and pray that the thoughts of our hearts might be forgiven us (Acts 8:22). God offered Israel a second chance. Even though my aim is to live a righteous life, as I look back over my life I realize that I too have sinned many times. Yet, because He loves me, through the blood of Jesus Christ He always offers me a second chance as well. “If we confess our sins, He is faithful and just to forgive us our sins and to cleanse us from all unrighteousness” (1 John 1:9). Eternal praise and thanks be to the God of second chances! And as homeschooling parents, we need to treat our children as God treats us, always ready to give a second chance. While Paul and Barnabas were in Antioch, certain men came down from Judea and taught the brethren that unless they were circumcised after the custom of Moses they could not be saved. As Paul and Barnabas disputed with them, it was determined to send them to Jerusalem to find out from the apostles and elders if these Judaizing teachers had any apostolic authority. This was not some kind of “church council” in which a group of men decided, whether by voting or some other method, what the church was going to teach on this subject, but simply an attempt to determine what God’s inspired messengers had to reveal from the Lord on the matter. At the meeting in Jerusalem, Peter talked about the necessary inferences that he had learned in his contact with Cornelius and his household and applied them to the situation. Next, Paul and Barnabas cited their approved apostolic example of preaching to the Gentiles in which God never required them to be circumcised. Then James quoted a direct statement from the prophet Amos in Old Testament Scripture to show that God had promised that when the Messiah came He would accept the Gentiles without circumcision. Thus, all the evidence clearly demonstrated that the Gentiles did not have to be circumcised to be saved. A letter to this effect was written to be sent to Antioch, so Paul and Barnabas, along with prophets Judas Barsabas and Silas, returned to Antioch with the news. Sometime later, Paul suggested to Barnabas that they return to the churches established on their first preaching trip to see how they were doing. Barnabas agreed and wanted to take John Mark with them again, but Paul was determined not to have him go with them, most likely because he had departed from them in Pamphyllia. The disagreement was so great that the two men decided to part company. Barnabas took Mark and set sail for Cyprus. Paul chose Silas as his new travelling companion for his second journey, and they went throughout Syria and Cilicia, strengthening the churches. 1. What did certain men who came from Judea to Antioch teach? 2. Who disputed with these men? 3. How did the brethren determine to find the truth on this subject? 4. Who talked about the inferences he learned by the conversion of Cornelius? 5. Who cited their example of preaching to the Gentiles without requiring circumcision? 6. Who quoted an Old Testament passage showing that God would accept the Gentiles without circumcision? 7. What suggestion did Paul make to Barnabas? 8. Whom did Barnabas want to take with them? 9. Whom did Paul choose as his new travelling companion? My name is Bob and I’m in charge of community outreach for my company, Webucator. I’m writing to let you know about a new free program we have for homeschooling kids. That’s all there is to it. As I said, the courses are self paced, so students will need to have some discipline to get through them, but one of the great things about homeschooling is that it helps kids develop this kind of discipline. So, we’re hopeful that our courses will help kids develop much needed skills in the workplace. Plus, a lot of this stuff is just fun to learn! When you share this with your website visitors, please let them know why you think it’s important for kids to learn technical skills like programming and web development. Thanks so much! Let me know if you have any questions or want more information. 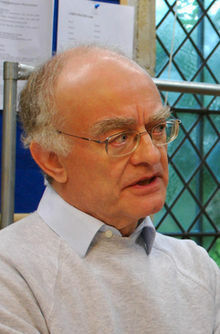 John Milford Rutter (born September 24, 1945) is a British composer, conductor, editor, arranger, and record producer, mainly of choral music. Born in London, England, on September 24, 1945, the son of an industrial chemist and his wife, Rutter grew up on London’s Marylebone Road. He was educated at Highgate School and received his first musical education as a chorister there, where a fellow pupil was John Tavener, before reading music at Clare College, Cambridge, where he was a member of the choir. There he wrote his first published compositions and conducted his first recording while still a student. He served as director of music at Clare College from 1975 to 1979 and led the choir to international prominence. Rutter also works as an arranger and editor. As a young man he collaborated with Sir David Willcocks on the extraordinarily successful Carols for Choirs anthology series. In 1974, Rutter visited the United States at the invitation of choral musician Melvin (Mel) Olson and conducted the premiere of his cantata “Gloria” in Omaha, Nebraska, in the Witherspoon Hall of Joslyn Art Museum. The composition, commissioned by Olson’s Voices of Mel Olson chorale, has become a much-performed favorite over the years. In 1980, he was made an honorary Fellow of Westminster Choir College, Princeton. In 1980, Rutter was made a Fellow of the Guild of Church Musicians. In 1981, he founded his own choir, the Cambridge Singers, which he conducts and with which he has made many recordings of sacred choral repertoire including his own works, particularly under his own label Collegium Records. He resides at Duxford in Cambridgeshire and frequently conducts many choirs and orchestras around the world. His compositional career has embraced both large and small-scale choral works, orchestral and instrumental pieces, a piano concerto, two children’s operas, music for television, and specialist writing for such groups as the Philip Jones Brass Ensemble and the King’s Singers. Rutter was inducted as a National Patron of Delta Omicron, an international professional music fraternity in 1985. The world premiere of Rutter’s Requiem (1985), and of his authoritative edition of Fauré’s Requiem, took place with the Fox Valley Festival Chorus, in Illinois. From 1985 to 1992, he suffered severely from myalgic encephalomyelitis (ME, or chronic fatigue syndrome), which restricted his output. After 1985 he stopped writing music on commission, as he was unable to guarantee meeting deadlines. His Magnificat dates from 1990. He has edited the first two volumes in the new Oxford Choral Classics series, Opera Choruses (1995) and European Sacred Music (1996). In 1996, the Archbishop of Canterbury conferred a Lambeth Doctorate of Music upon him in recognition of his contribution to church music. In 2002, his setting of Psalm 150, commissioned for the Queen’s Golden Jubilee, was performed at the Jubilee thanksgiving service in St. Paul’s Cathedral, London. His 2003 composition Mass of the Children was written after the sudden death of his son Christopher while a student at Clare College, Cambridge, where Rutter himself had studied. He was honored in the 2007 Queen’s New Year Honours List, being awarded a CBE for services to music. In 2008, Rutter was made an honorary Bencher of the Middle Temple while playing a significant role in the 2008 Temple Festival. Rutter is also a Vice President of the Joyful Company of Singers. Also, he was commissioned to write a new anthem, “This is the day which the Lord hath made”, for the Wedding of Prince William and Catherine Middleton in 2011, performed at Westminster Abbey during the service. The Beatles Concerto for two pianos and orchestra, based on songs by Lennon, McCartney, and Harrison (1977). Distant Land, A Song of Freedom dedicated to Nelson Mandela (1991). Suite Antique for flute, harpsichord, and strings (1979). Mikhail Ivanovich Glinka (June 1, 1804 – February 15, 1857) was the first Russian composer to gain wide recognition within his own country, often regarded as the fountainhead of Russian classical music, whose compositions were an important influence on future Russian composers, notably the members of The Five, who took Glinka’s lead and produced a distinctive Russian style of music. Glinka was born a child of privilege on June 1, 1804, in the village of Novospasskoye, not far from the Desna River in the Smolensk Governorate of the Russian Empire, later in the Yelninsky District of the Smolensk Oblast. His wealthy landowner father had retired as an army captain, and the family had a strong tradition of loyalty and service to the tsars, while several members of his extended family had also developed a lively interest in culture. His great-great-grandfather was a Polish–Lithuanian Commonwealth nobleman, Wiktoryn Władysław Glinka of the Trzaska coat of arms. As a small child, Mikhail was reared by his over-protective and pampering paternal grandmother, who fed him sweets, wrapped him in furs, and confined him to her room, which was always to be kept at 77 °F. Accordingly, he developed a sickly disposition, later in his life retaining the services of numerous physicians, and often falling victim to a number of quacks. The only music he heard in his youthful confinement was the sounds of the village church bells, the folk songs of passing peasant choirs, and singing by his nurse. After his grandmother’s death, Glinka moved to his maternal uncle’s estate and was able to hear his uncle’s orchestra, whose repertoire included pieces by Haydn, Mozart and Beethoven. The music produced such an indelible impression upon Glinka that he asked to be taught music, so while his governess taught him Russian, German, French, and geography, he also received instruction on the piano and the violin, and in his uncle’s orchestra he played these very instruments. His first violin teacher was a bondsman from Smolensk. At the age of thirteen Glinka went to the capital, Saint Petersburg, to study at a school for children of the nobility. Here he learned Latin, English, and Persian, studied mathematics and zoology, and considerably widened his musical experience, taking piano, violin and voice lessons from the Italian, German, and Austrian teachers there. He had three piano lessons from John Field, the Irish composer of nocturnes, who spent some time in Saint Petersburg. He then continued his piano lessons with Charles Meyer, and began composing. When he left school his father wanted him to join the Foreign Office, and he was appointed assistant secretary of the Department of Public Highways, a post he held for four years – from 1824 to 1928. The work was light, which allowed Mikhail to settle into the life of a musical dilettante, frequenting the drawing rooms and social gatherings of the city. He was already composing a large amount of music, such as melancholy romances which amused the rich amateurs. His songs are among the most interesting part of his output from this period. In 1830, at the recommendation of a physician, Glinka decided to travel to Italy with the tenor Nikolay Ivanov. The journey took a leisurely pace, ambling uneventfully through Germany and Switzerland, before they settled in Milan. There, Glinka took lessons at the conservatory with Francesco Basili, the famous Italian composer and conductor, although he struggled with counterpoint, which he found irksome. During this period Glinka concentrated on writing pieces on the theme of famous operas. Although he spent his three years in Italy listening to singers of the day and meeting many famous people including Mendelssohn and Berlioz, he became disenchanted with Italy. He realized that his mission in life was to return to Russia, write in a Russian manner, and do for Russian music what Donizetti and Bellini had done for Italian music. His return route took him through the Alps, and he stopped for a while in Vienna, where he heard the music of Franz Liszt. He stayed for another five months in Berlin, during which time he studied composition under the distinguished teacher Siegfried Dehn, the great German music theorist, editor, teacher and librarian. A Capriccio on Russian themes for piano duet and an unfinished Symphony on two Russian themes were important products of this period. While in Berlin, Glinka became enamored with a beautiful and talented singer, for whom he composed Six Studies for Contralto. When word reached Mikhail Glinka of his father’s death in 1834, he left Berlin and returned to his native village of Novospasskoye and then on to Saint Petersburg. There he reunited with his mother, and made the acquaintance of Maria Petrovna Ivanova, the musician’s distant relative. After he courted her for a brief period, the two married. A Life for the Tsar was the first of Glinka’s two great operas. It was originally entitled Ivan Susanin. Set in 1612, it tells the story of the Russian peasant and patriotic hero Ivan Susanin who sacrifices his life for the Tsar by leading astray a group of marauding Poles who were hunting him. The Tsar himself followed the work’s progress with interest and suggested the change in the title. It was a great success at its premiere on December 9, 1836, under the direction of Catterino Cavos. Although the music is still more Italianate than Russian, Glinka shows superb handling of the recitative which binds the whole work, and the orchestration is masterly, foreshadowing the orchestral writing of later Russian composers. The Tsar rewarded Glinka for his work with a ring valued at 4000 rubles. Following this, Glinka composed some of his best songs. In 1837, Glinka was installed as the instructor of the Imperial Chapel Choir, with a yearly salary of 25,000 rubles, and lodging at the court. In 1838, at the suggestion of the Tsar, he went off to Ukraine to gather new voices for the choir; the nineteen new boys he found earned him another 1,500 roubles from the Tsar. He soon embarked on his second opera: Ruslan and Lyudmila. The plot, based on the tale by Alexander Pushkin, was concocted in fifteen minutes by Konstantin Bakhturin. The opera is a dramatic muddle, yet the quality of Glinka’s music is higher than in A Life for the Tsar. He uses a descending whole-tone-scale in the famous overture. This is associated with the villainous dwarf Chernomor who has abducted Lyudmila, daughter of the Prince of Kiev. There is much Italianate coloratura, and a lot of the borrowed folk material is oriental in origin. When it was first produced on December 9, 1842, it met with a cool reception, although subsequently it gained popularity. Glinka went through a dejected year after the poor reception of Ruslan and Lyudmila. His spirits rose when he travelled to Paris and Spain. In Spain, Glinka met Don Pedro Fernandez, who remained his secretary and companion for the last nine years of his life. The trip helped. In 1845 Glinka wrote the overture “Aragonskaya Hota,” which got across the footlights. In Paris, Hector Berlioz conducted some excerpts from Glinka’s operas and wrote an appreciative article about him. Glinka in turn admired Berlioz’s music and resolved to compose some fantasies pittoresques for orchestra. Only in 1848, having returned to Russia, did Glinka write another opera in the Spanish style and character – “A Summer Night in Madrid.” Another visit to Paris followed in 1852 where he spent two years, living quietly and making frequent visits to the botanical and zoological gardens. Between 1852 and 1854 Glinks was again abroad, mostly in Paris, until the outbreak of the Crimean War drove him home again. His closest friend in his last difficult years was his beloved sister Lyudmila Shestakova; and Glinka even composed several piano plays for her small daughter Olga. His last notable composition was Festival Polonaise for Tsar Alexander II’s coronation ball (1855). From there he moved to Berlin where, after five months, he died suddenly on February 15, 1857, following a cold, either from cancer of the stomach or pneumonia, having suffered throughout his life from poor health. He was buried in Berlin but a few months later his body was taken to Saint Petersburg and reinterred in the cemetery of the Alexander Nevsky Monastery. Mikhail Glinka, the first Russian composer to win international recognition, was the founder of the nationalist school of Russian composers and is often regarded as the father of Russian classical music. He has been described as a dilettante of genius. His slender output is considered the foundation of most later Russian music of value. Glinka’s Ruslan and Lyudmila provided models of lyrical melody and colorful orchestration on which Mily Balakirev, Aleksandr Borodin, Anton Rubinstein, and Nikolay Rimsky-Korsakov formed their styles. 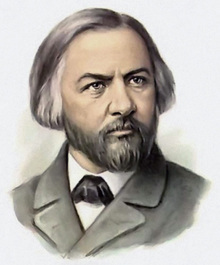 Glinka’s orchestral composition Kamarinskaya (1848) was said by Pyotr Ilyich Tchaikovsky to be the acorn from which the oak of later Russian symphonic music grew. In 1884 Mitrofan Belyayev (a Russian music publisher and an outstanding philanthropist) founded the annual “Glinka Prize.” Three Russian conservatories are named after Glinka. Outside Russia several of Glinka’s orchestral works have been fairly popular in concerts and recordings. Soviet astronomer Lyudmila Chernykh named a minor planet “2205 Glinka” in his honor. It was discovered in 1973. Memory of Friendship for symphony orchestra, arrangement of Nocturne op. 99 of J. N. Hummel. Ruslan and Ludmila (1842): Overture. Henry Joseph Wood (March 3, 1869–August 19, 1944) was an English musician, conductor, and arranger, best known for his association with London’s annual series of promenade concerts, known as the Proms, conducting them for nearly half a century and introducing hundreds of new works to British audiences. Born on March 3, 1869, at London, England, in modest circumstances to parents who encouraged his musical talent, Wood was the only child of Henry Joseph Wood and his wife Martha, née Morris. His father had started in his family’s pawnbroking business, but by the time of his son’s birth was trading as a jeweller, optician, and engineering modeller, much sought-after for his model engines. It was a musical household: Wood senior was an amateur cellist and sang as principal tenor in the choir of St Sepulchre-without-Newgate, known as “the musicians’ church.” His wife played the piano and sang songs from her native Wales. They encouraged their son’s interest in music, buying him a Broadwood piano, on which his mother gave him lessons. The young Wood also learned to play the violin and viola. Wood started his career as an organist. He was deeply stirred by the playing of the resident organist St Sepulchre, George Cooper, who allowed him into the organ loft and gave him his first lessons on the instrument. Cooper died when Wood was seven, and the boy took further lessons from Cooper’s successor, Edwin M. Lott. At the age of ten, through the influence of one of his uncles, Wood made his first paid appearance as an organist at St Mary Aldermanbury. In June 1883, visiting the Fisheries Exhibition at South Kensington with his father, Wood was invited to play the organ in one of the galleries, making a good enough impression to be engaged to give recitals at the exhibition building over the next three months. He studied at the Slade School of Fine Art. After taking private lessons from the musicologist Ebenezer Prout, Wood entered the Royal Academy of Music at the age of seventeen, studying harmony and composition with Prout, organ with Charles Steggall, and piano with Walter Macfarren. It is not clear whether Wood was a member of the voice teacher Manuel Garcia’s singing class, but it is certain that he became its accompanist and was greatly influenced by Garcia. Wood also accompanied the opera class, taught by Garcia’s son Gustave. Wood’s ambition at the time was to become a teacher of singing, and he gave singing lessons throughout his life. He attended the classes of as many singing teachers as he could. On leaving the Royal Academy of Music in 1888, Wood taught singing privately and was soon very successful, attracting more singing pupils than he could comfortably deal with at half a guinea an hour. He also worked as a répétiteur for Richard D’Oyly Carte opera companies on the works of Arthur Sullivan and others. He was reportedly there during the rehearsals for the first production of The Yeomen of the Guard at the Savoy Theatre in 1888. It is certain, however, that Wood was répétiteur at D’Oyly Carte’s Royal English Opera House for Sullivan’s grand opera Ivanhoe in late 1890 and early 1891, and for André Messager’s La Basoche in 1891–92. He also worked for D’Oyly Carte at the Savoy as assistant to François Cellier on The Nautch Girl in 1891. Wood remained devoted to Sullivan’s music and later insisted on programming his concert works when they were out of fashion in musical circles. During this period, he had several compositions of his own performed, including an oratorio, St. Dorothea (1889), a light opera, Daisy (1890), and a one-act comic opera, Returning the Compliment (1890). Wood’s first professional appearance as a conductor was at a choral concert in December 1887. His first sustained work as a conductor was his 1889 appointment as musical director of a small touring opera ensemble, the Arthur Rouseby English Touring Opera. After a brief return to teaching he secured a better appointment as conductor for the Carl Rosa Opera Company in 1891. For that company he conducted Carmen, The Bohemian Girl, The Daughter of the Regiment, Maritana, and Il trovatore. This appointment was followed by a similar engagement with a company set up by former Carl Rosa singers. One notable event in Woods’ operatic career was conducting the British premiere of Tchaikovsky’s Eugene Onegin in 1892. When Signor Lago, formerly impresario of the Imperial Opera Company of St. Petersburg, was looking for a second conductor to work with Luigi Arditi for a proposed London season, Garcia recommended Wood who conducted performances of Maritana and rehearsed Oberon and Der Freischütz. The season opened at the newly rebuilt Olympic Theatre in London, in October 1892, with Wood conducting the British premiere of Tchaikovsky’s Eugene Onegin. After the collapse of the Olympic opera season, Wood returned once more to his singing tuition. With the exception of a season at the Opera Comique in 1896, Wood’s subsequent conducting career was in the concert hall. In 1894 Wood went to the Wagner festival at Bayreuth where he met the conductor Felix Mottl, who subsequently appointed him as his assistant and chorus master for a series of Wagner concerts at the newly built Queen’s Hall in London. The manager of the hall, Robert Newman, was proposing to run a ten-week season of promenade concerts and, impressed by Wood, invited him to conduct. On August 10, 1895, the first of the Queen’s Hall Promenade Concerts took place. Wood soon began shifting the balance from light music to mainstream classical works, with Schubert’s Unfinished Symphony and further excerpts from Wagner operas. Among the other symphonies Wood conducted during the first season were Schubert’s Great C Major, Mendelssohn’s Italian and Schumann’s Fourth. The concertos included Mendelssohn’s Violin Concerto and Schumann’s Piano Concerto. During the season Wood presented 23 novelties, including the London premieres of pieces by Richard Strauss, Tchaikovsky, Glazunov, Massenet and Rimsky-Korsakov. Newman and Wood soon felt able to devote every Monday night of the season principally to Wagner and every Friday night to Beethoven, a pattern that endured for decades. The series was successful, and Wood conducted annual promenade series until his death in 1944. As a result, from the mid-1890s until his death, Wood focused on concert conducting. The income from the concerts did not permit generous rehearsal time, but one feature of Wood’s conducting was his insistence on accurate tuning. Between the first and second season of promenade concerts, Wood did his last work in the opera house, conducting Stanford’s new opera Shamus O’Brien at the Opera Comique. It ran from March until July 1896, leaving Wood enough time to prepare the second Queen’s Hall season, which began at the end of August.. In January 1897 Wood took on the direction of the Queen’s Hall’s prestigious Saturday afternoon symphony concerts. He continually presented new works by composers of many nationalities, and was particularly known for his skill in Russian music. In 1898, Wood married one of his singing pupils, Olga Michailoff. As a singer, with Wood as her accompanist, she won praise from the critics. At the beginning of 1902, Wood accepted the conductorship of that year’s Sheffield triennial festival. The promenade concerts flourished through the 1890s, but in 1902 Newman, who had been investing unwisely in theatrical presentations, found himself unable to bear the financial responsibility for the Queen’s Hall Orchestra and was declared bankrupt. The concerts were rescued by the musical benefactor Sir Edgar Speyer, a banker of German origin. Later in the year, overtaxed by his enormous workload, Wood’s health broke down. Leaving the leader of the orchestra, Arthur Payne, to conduct during his absence, Wood and his wife took a cruise to Morocco. In the early years of the Proms there were complaints in some musical journals that Wood was neglecting British music. By the end of the first decade of the new century, however, Wood’s reputation in conducting British music was in no doubt; he gave the world, British or London premieres of more than a hundred British works between 1900 and 1910. Wood conducted his own compositions and arrangements from time to time. He gave his Fantasia on Welsh Melodies and Fantasia on Scottish Melodies on successive nights in 1909. He composed the work for which he is most celebrated, Fantasia on British Sea Songs, for a concert in 1905, celebrating the centenary of the Battle of Trafalgar. After his first wife’s death he married Muriel Greatorex in 1911. He also introduced women into the Queen’s Hall Orchestra in 1913. On the outbreak of the First World War in 1914, Newman, Wood and Speyer discussed whether the Proms should continue as planned. They had by this time become an established institution, and it was agreed to go ahead. However, anti-German feeling forced Speyer to leave the country and seek refuge in the U.S. When Speyer left Britain, the music publishers Chappell’s took on the responsibility for the Queen’s Hall and its orchestra. The Proms continued throughout the war years. Towards the end of the war, Wood received an offer by which he was seriously tempted: the Boston Symphony Orchestra invited him to become its musical director, but he declined, believing it his duty to serve music in the United Kingdom. After the war, the Proms continued much as before. By the 1920s, Wood had steered the repertoire entirely to classical music. In 1921 Wood was awarded the gold medal of the Royal Philharmonic Society, the first English conductor to receive the honor. Wood further showed his interest in the future of music by taking on the conductorship of the student orchestra at the Royal Academy of Music in 1923, rehearsing it twice a week, whenever possible, for the next twenty years. In the same year, he accepted the conductorship of the amateur Hull Philharmonic Orchestra, travelling three times a year until 1939 to rehearse and conduct its concerts. In 1925 Wood was invited to conduct four concerts for the Los Angeles Philharmonic Orchestra at the Hollywood Bowl. On his return to England from his first Hollywood trip, Wood found himself in the middle of a feud between the chairman of Chappell’s, William Boosey, and the BBC. Boosey had conceived a passionate hostility to the broadcasting of music, fearing that it would lead to the end of live concerts. The matter was unresolved when Newman died in 1926. Shortly afterwards, Boosey announced that Chappell’s would no longer support concerts at the Queen’s Hall, and there was a general welcome for the BBC’s announcement that it would take over the running of the Proms. The BBC regime brought immediate benefits. Though in his later years, Wood came to be identified with the Proms rather than with the year-round concert season, Adrian Boult was appointed director of music at the BBC in 1930, and in that capacity he strove to ensure that Wood was invited to conduct a fitting number of BBC symphony concerts outside the Prom season. In 1936, Wood was in charge of his final Sheffield festival. The choral works he conducted included the Verdi Requiem, Beethoven’s Missa Solemnis, Berlioz’ Te Deum, Walton’s Belshazzar’s Feast, and, in the presence of the composer, Rachmaninoff’s The Bells. The following year, Wood began planning for a grand concert to mark his fiftieth year as a conductor. The Royal Albert Hall was chosen as the venue, having a far larger capacity than the Queen’s Hall. The concert was given on 5 October 1938. On the outbreak of the Second World War in September 1939, the BBC immediately put into effect its contingency plans to move much of its broadcasting away from London to places thought less susceptible to bombing. Its musical activities, including the orchestra, moved to Bristol. The BBC withdrew not only the players, but financial support from the Proms. Wood determined that the 1940 season would nevertheless go ahead. The Royal Philharmonic Society and a private entrepreneur, Keith Douglas, agreed to back an eight-week season, and the London Symphony Orchestra was engaged. The last Prom given at the Queen’s Hall was on September 7, 1940. In May 1941, the hall was destroyed by bombs. It was immediately agreed that the 1941 season of Proms should be held at the Albert Hall. It was twice the size of the Queen’s Hall, with poor acoustics, but a six-week series was judged a success, and the Albert Hall remained the home of the Proms. Wood, aged seventy-two, was persuaded to have an associate conductor to relieve him of some of the burden. Basil Cameron undertook the task and remained a Prom conductor until his retirement, aged eighty, in 1964. The BBC brought its symphony orchestra back to London and resumed its backing of the Proms in 1942; Boult joined Cameron as Wood’s associate conductor during that season. In early 1943, Wood’s health deteriorated, and two days after the start of that year’s season, he collapsed and was ordered to have a month in bed. Despite his age and the difficulties of wartime travel, Wood insisted on going to provincial cities to conduct. His final season was in 1944. The season began well with Wood in good form, but he was taken ill in early August and was unable to conduct the fiftieth anniversary Prom on August 10; he was forbidden by his doctor even to listen to its broadcast and died just over a week later on August 19, 1944, at Hitchin Hospital in Hitchin, Hertfordshire. His funeral service was held in the town at St Mary’s church, and his ashes were interred in the Musicians’ Chapel of St Sepulchre-without-Newgate. Fantasia on British Sea Songs (1905). Falconers have no difficulty understanding that to carry a falcon on one’s arm in opposition to its nature you have to put a bag over it’s head; and horsemen know that a fast horse can be made to run more slowly by adding lead weights to its body; why is it so difficult to acknowledge then that some people might want to transfer these principles of mechanical intervention known to animal trainers to the scientific management of human children? That is to say, to impede their natures in interest of something more important to a manager. Vincenzo Salvatore Carmelo Francesco Bellini (November 3, 1801–September 23, 1835) was one of the most important composers of Italian opera in his time with a gift for creating vocal melody at once pure in style and sensuous in expression, who was known for his long-flowing melodic lines for which he was named “the Swan of Catania.” Born on November 3, 1801, at Catania, at the time part of the Kingdom of Sicily, now part of Italy, the eldest of seven children in a family already steeped in music–his father Rosario and grandfather Vincenzo were both career musicians–he became a child prodigy and began composing before receiving any formal music education. Living with his grandfather after 1816 and learning from him, the young composer began to produce some pieces of music, among them the nine Versetti da cantarsi il Venerdi Santo, eight of which were based on texts by Metastasio. With several other orchestral pieces completed, by 1818 Bellini was ready for further study and logically, this would have to be in Naples. However, family support was limited, but the new intendente of the province of Catania, who came from Palermo, Stefano Notabartolo, the duca di San Martino e Montalbo and his duchess, encouraged the young man to petition the city fathers for a stipend to support his musical studies. This was successfully achieved in May 1819 with unanimous agreement for a four-year pension to allow him to study at the Real Collegio di Musica di San Sebastiano in Naples, now the Naples Conservatory. Thus, he left Catania in July carrying letters of introduction to several powerful individuals, including Giovanni Carafa who was the intendente of the Real Collegio as well as being in charge of the city’s royal theatres. The young Bellini was to live in Naples for the following eight years. He produced his first major works while still a student at the Naples Conservatory. When Bellini entered the Royal College, he started off in elementary classes, but he progressed rapidly and was granted free tuition by 1820. After this, in the following January fulfilled his obligation to write music for Catania—a condition of his scholarship—and sent a Messa di gloria which was performed the following October. The artistic director of the school was the opera composer, Niccolò Antonio Zingarelli. By 1822/23, Bellini had become a member of a class which he taught, and the older man appears to have recognized Bellini’s potential. Vincenzo soon developed into a teacher, becoming a primo maestrino in 1824, a post which required him to tutor younger students. His first opera, Adelson e Salvini, was chosen to be performed by the conservatory’s students. While in Naples he gained the patronage of an important impresario, Domenico Barbaja of the San Carlo Opera, who commissioned Bianca e Fernando (1826) for the Naples opera, the success of which led to other commissions. Il pirata (1827), written for La Scala, the opera house at Milan, earned him an international reputation. Bellini spent 1827 to 1833 mostly in Milan. 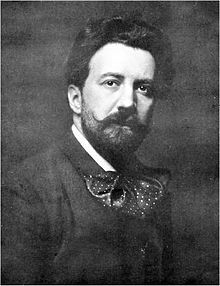 He was fortunate in having as librettist the best Italian theater poet of the day, Felice Romani, with whom he collaborated in his next six operas. As Bellini gained experience and recognition, he settled into a working method that stressed quality instead of quantity. He composed fewer operas, for which he commanded higher prices. He was not, however, immune to the pressures of production. For La straniera (February 1829), Bellini received a fee which was sufficient for him to be able to make his living solely by composing music, and this new work became an even greater success than Il pirata, though his opera Zaira (1829), written with Romani for the inauguration of the Teatro Ducale at Parma, was hurriedly completed; the opera was a notable failure and was never produced again. 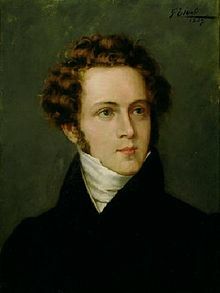 However, the most important of the Bellini-Romani collaborations were I Capuleti e i Montecchi (1830), based on Shakespeare’s Romeo and Juliet, with which he rebounded; La sonnambula (1831; The Sleepwalker), an opera semiseria–serious but with a happy ending; and Norma (1831), a tragedy set in ancient Gaul which achieved lasting success despite an initial failure. The latter’s aria “Casta diva” is one of the evergreens of the classical vocal repertory. These two operas were followed by a less successful composition, Beatrice di Tenda. This opera was premiered at La Fenice, Venice, on March 16, 1833, a month later than scheduled; the failure led to the falling out of Bellini and Romani. Bellini lived briefly in London in 1833 directing performances of his operas and then went to Paris. There, composer Gioachino Rossini’s influence secured for him a commission to write an opera for the Théâtre-Italien. The result was I puritani (1835), the last of Bellini’s nine operas; although handicapped by an inept libretto, it is in many ways his most ambitious and beautiful work. The libretto for this particular opera was written by the exiled Italian poet Count Carlo Pepoli. Unlike Bellini’s previous two operas, I puritani was enthusiastically received. At the height of his career and only 33 years old, Bellini died on September 23, 1835, in Puteaux, a small town near Paris, of a chronic intestinal ailment which resulted in an acute inflammation of the colon, compounded by an abscess in the liver. Bellini’s fame was closely bound up with the bel canto style of the great singers of his day. He was not a reformer; his ideals were those of Haydn and Mozart, and he strove for clarity, elegance of form and melody, and a close union of words and music. While he subordinated the orchestra accompaniment to the singers and placed upon their voices the responsibility for dramatic expression, his harmony was more enterprising than that of his contemporary Gaetano Donizetti, and his handling of the orchestra in introductions and interludes was far from perfunctory. It is, however, for the individual charm and elegance of his luminous vocal melody that Bellini is remembered. His influence is reflected not only in later operatic compositions, including the early works of Richard Wagner, but also in the instrumental music of Chopin and Liszt. Concerto in EbM for Oboe and Strings. I Capuleti ei Montecchi: Di Capellio, Generosi Amici. I Puritani: La Mia Canzon D’Amore; Cavaliere; Son Salvo, Alfin Son Salvo; Vieni Fra Queste Braccia; and Crediasi Misera.